When hearing the words “farmhouse”, what do you see in your mind’s eye? Not something sleek and super modern, obviously, but rather a structure with a somewhat rustic design (perhaps even a few vintage or country touches) to fit in with the rural landscape, right? Well, whatever image you conjure up, compare it with today’s homify 360° discovery, which is a farm-style house in Johannesburg’s Waterfall Estate, completed by the professionals over at GRATINK. Bet you didn’t envision such a high-pitched roof, right? Or the trusses, or even such an abundance of glass. And yet these very modern touches are what make this structure unique and memorable. Besides, a 100% rustic/country home in a modern residential estate in the middle of a bustling city would have just stood out (and not in a good way). 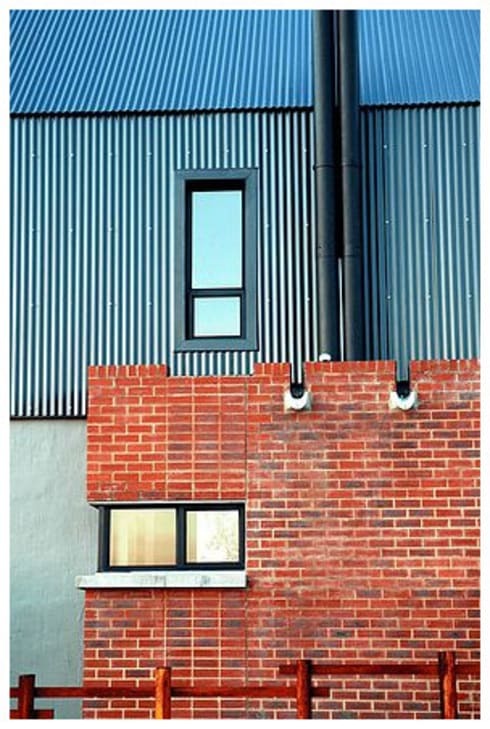 A zinc roof contrasting with exposed brick walls – you don’t get better contrast than that! While both materials allow us to reminisce most delightfully about old-school rural architecture, they also go a long way in ensuring a visually pleasing façade. 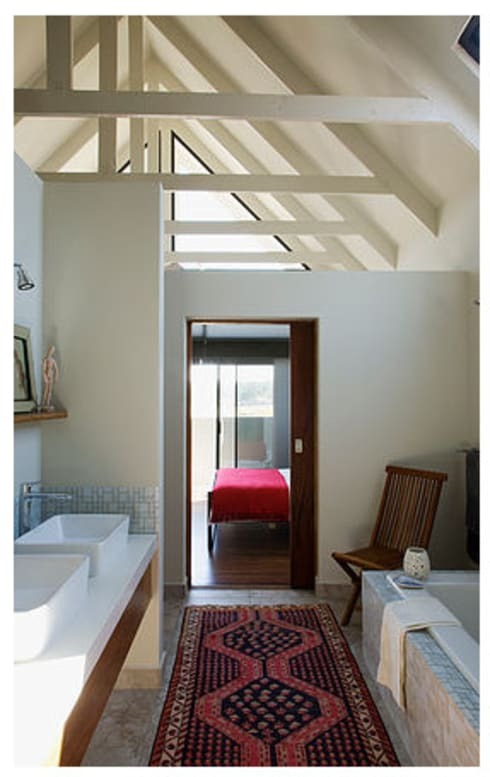 We just love the country vibe of the interiors, where a host of various materials and touches combine, like the ceiling trusses, wooden finishes (and furniture), tiled backsplashes, stone flooring, and a patterned rug here in the bathroom to ensure a plush touch. Notice how the adjoining bedroom switches over to hardwood floors, while the bed’s colour palette links back to the bathroom’s rug – as they say, the devil is in the details! 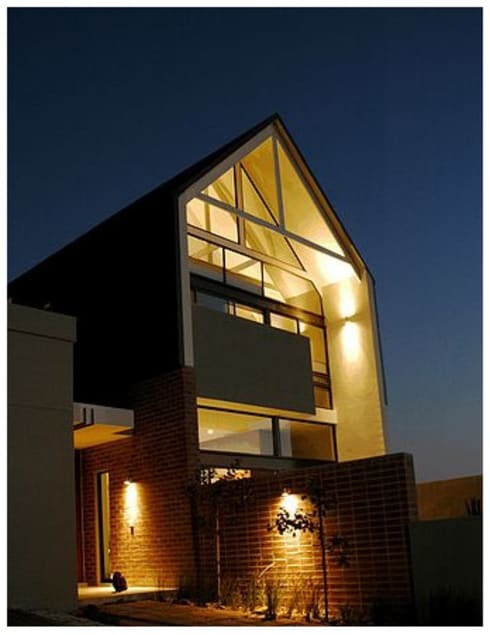 While we’re here, we may as well have a look at A beautiful Johannesburg mansion. Our comments section is just for you – so tell us what you think of this modern/country house.